It makes perfect sense that an anonymous online music fan has best described what rocker Chris Daughtryï¿½s Phoenix-like ascension means to the ever-evolving rock nï¿½ roll canon. Itï¿½s his intensity - notes the insightful blogger - a balm for an ailing industry, writing that Daughtry in a recording studio is akin ï¿½to putting a beat-up violin in the hands of a master.ï¿½ A ï¿½pureï¿½ and ï¿½soulfulï¿½ balm, with even professional scribes concurring that ï¿½Daughtry dominates,ï¿½ according to USA Today. 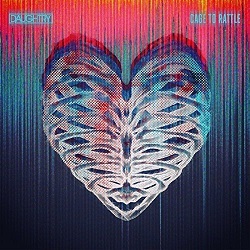 ï¿½Homeboy loves to rockï¿½ crows Rolling Stone - but if the phenomenal impact and enduring legacy of the double-platinum-and-counting debut of Daughtry means anything - itï¿½s how enthusiastically the wandering music listener has embraced rockï¿½s new standard bearer. Use any measurement you like - in an era of digitized, customized-shuffling music = wallpaper stylingï¿½s, Daughtry has almost single-handedly given the genre back its heart, resurrecting an endangered species via the bluesy swagger of What I Want,and the image-shredding angst of Feels Like Tonight; restoring its nomadic longing for place on Home, its righteous indignation on Itï¿½s Not Over. With signature ache and poise, the North Carolina native blends each hard-won attribute into a rousing mosaic for the ages. 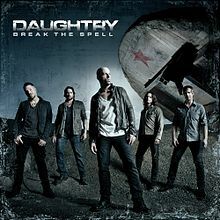 The DAUGHTRY album is also forging unprecedented sales and chart breakthroughs - affirming there is still gold to be mined, thank God, with a rugged voice and passionate songwriting instincts. Tom Petty once said such a primal connection between a musician on top of his game and his fans can be so strong ï¿½you can actually hurt yourself up there and not know it.ï¿½ But the kind of ï¿½hurtï¿½ Daughtry has put on a famished music landscape is nothing short of astonishing: In just a few months of release, the celebrated disc has leaped more milestones faster and further than any rock debut in recent memory. 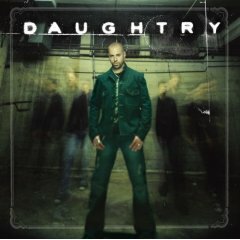 Anointed as the quickest selling rock debut in Soundscan history, DAUGHTRY became the #1 top selling album in the country not once, but twice, after debuting at #2 in November, 2006, moving upwards of 300,000 copies in the first week alone. performing or bonding with his newly minted band with whom he also shares his success. Scanning well over a million individual tracks digitally since DAUGHTRYï¿½s debut, Chris always knew the secret of his connection with his fans was widening the circle surrounding his music no matter what medium of transfer. Whether he was interpreting other artists material or his own, his razor-sharp instincts told him the right band could take such a bond to even greater heights. Iï¿½m a tough music fan myself. Iï¿½m not swayed easily, but one of the things Iï¿½ve always loved about great bands is you feed off of each otherï¿½s confidence, build on each otherï¿½s strengths and create an opportunity for something magical to happen every time you go out there,he notes. 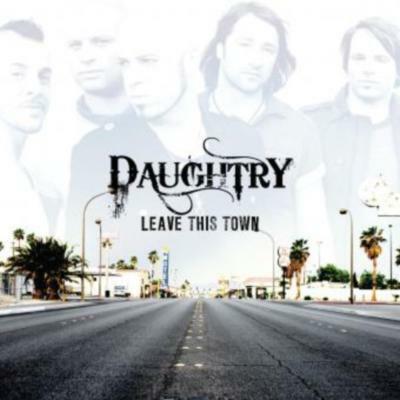 Daughtry is living proof of that edict, garnering rave reviews on the road, locking down what quickly became 2007ï¿½s must-see show: ï¿½Daughtry clearly connects with the audience and it would seem to be only the beginning…ï¿½ raved the San Francisco Chronicle. 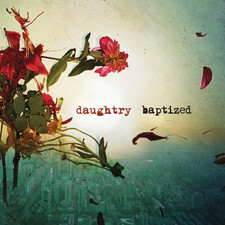 What a beginning: The double-platinum juggernaut that is Daughtry has hovered in the Top 5 of the Billboard Top 200 Albums since its release, the first album since the 2006 phenomenon High School Musical soundtrack to log more than 9 weeks among the Top 3 albums, and the first rock band to achieve such a streak in the first 15 weeks of release since Creed in 2002. 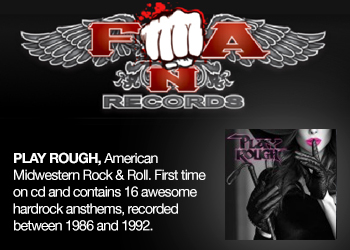 Daughtry is also the first rock band release in nearly 20 years - since Bon Joviï¿½s 1988 classic New Jersey - to hit the top spot after debuting below #1. 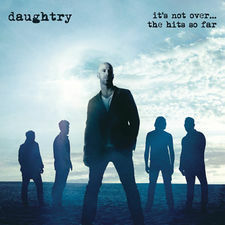 Such flirtations with history are even more amazing when you consider how seamlessly Daughtry has engrained itself in the digital domain, pulling in over one million page views per week to their artist site www.daughtryoffical.com, with their album remaining a Top 10 staple on iTunes since its release. The debut single Itï¿½s Not Over,has conquered every digital, mobile, radio and video platform imaginable, parking at or near the top of every major music industry metric including #1s on the Adult Top 40 chart, on the Hot AC chart, the Billboard Top Singles chart. The video reigned at the top of VH1ï¿½s enormously popular Top 20 Countdown show for two months running, as well as garnering most played status on MTV. The way it all has unfolded is everything an artist could ever ask for,says Chris. An understatement when you consider the challenges he laid down for himself before approaching the debut effort. 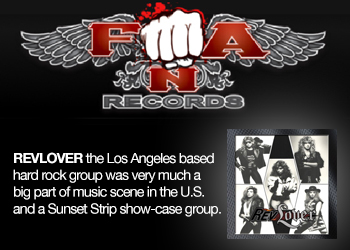 I knew going in that the album, the band, all of it had to start from my own vision. Iï¿½ve always known who I am and what kind of sound I wanted to get across, yet I never wanted to dictate any sort of path. If it sounds tricky, consider the caliber of writers and musicians he huddled with to craft the creative dimensions of the debut album. 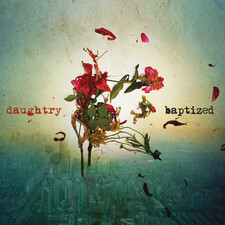 Daughtry enlisted a hand-picked cadre of unique and respected rockers who inspired his own song craft, sonic mentors - soon to become peers - who were already part of his own interior experience. Talented collaborators like Brent Smith of Shinedown, Mitch Allan of SR-71, and Hinder producer Brian Howes. Throw in the fact that Chris enjoined each of them in furtive writing sessions while on the road on a previous tour, and you have a recipe for a project that still might have gone down the rabbit hole very quickly. Looking back now,says Chris, Sure, it was risky, but I never had the feeling that I was heading creatively somewhere where I shouldnï¿½t have been going. 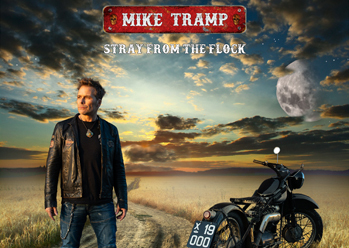 Produced by Howard Benson (My Chemical Romance, All-American Rejects), the album thoroughly mines Daughtryï¿½s instinctive ability to get to the essence of a song, tapping into a sixth sense he possesses for delivering accessible music that also manages to remain uncompromising. Whether itï¿½s the proven Itï¿½s Not Over,or the probing All These Lives,or another song that takes on a life of its own, the plaintive Home,(which has found its own home as the contestant elimination theme on this yearï¿½s ï¿½American Idolï¿½), the Daughtry thread of extending boundaries, not shrinking from them, runs through every verse. Iï¿½ve never believed a song has to have a rock edge, or be part of one particular genre to be viable,he adds. For Itï¿½s Not Over,which he collaborated on with Greg Wattenberg (Five For Fighting), it was the subject matter that moved him. That idea that you keep doing the same thing thinking you are going to get a different result, still you keep trying. Itï¿½s been Chrisï¿½ own willingness to pivot in the face of expected music industry protocol that has fueled most of his success, the same ethic powering the equally charged band Daughtry. The players: bassist Josh Paul from LA, drummer Joey Barnes from North Carolina, guitarist Brian Craddock from Virginia, and guitarist Josh Steely from San Diego all complement and calibrate the front man, embodying the kind of seasoned give-and- take not usually associated with a new band. Chris knew he had to commit to an intense audition process right from the start, determined to achieve that crucial bond between members. 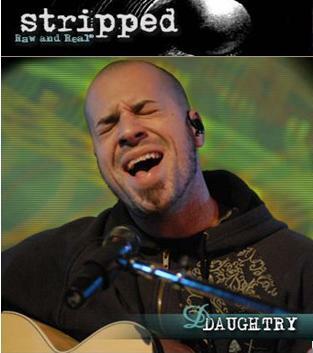 Daughtry zeroed in on the interpersonal chemistry and musical compatibility of the guys who would eventually eat, sleep and breathe DAUGHTRY 24/7. The guys have worked out beyond even what I had envisioned. Weï¿½ve even been able to do some acoustic shows together because of the stage considerations, rolling with the punches on the road like a band does, and thatï¿½s been such a revelation - and so much fun, as well. As always, Chris brings it back to the audience, whether talking about the live experience or the millions of supporters for DAUGHTRY around the world that have helped carve the unprecedented trail theyï¿½ve blazed as a debut rock band. Itï¿½s such a blessing to receive all the great feedback and affection from the fans,he says. The online intensity, the way they sing along at our shows, the radio and video support - I donï¿½t think the average person understands how crucial it is for a band to know youï¿½ve got that net underneath you. To start out as a fan with a dream, and then to go from a struggling musician with the same hopes and aspirations as so many others and to be able to fulfill some of those dreams, well, I feel like weï¿½re all part of this incredible movement. Iï¿½m so aware of what it took to get here. I canï¿½t help but appreciate what an honor it is to keep it rolling.